Chicago (/ʃɪˈkɑːɡoʊ/ ( listen) or /ʃɪˈkɔːɡoʊ/), officially the City of Chicago, is the third-most populous city in the United States. With over 2.7 million residents, it is also the most populous city in both the state of Illinois and the Midwestern United States. It is the county seat of Cook County. The Chicago metropolitan area, often referred to as Chicagoland, has nearly 10 million people and is the third-largest in the U.S. Chicago has often been called a global architecture capital. 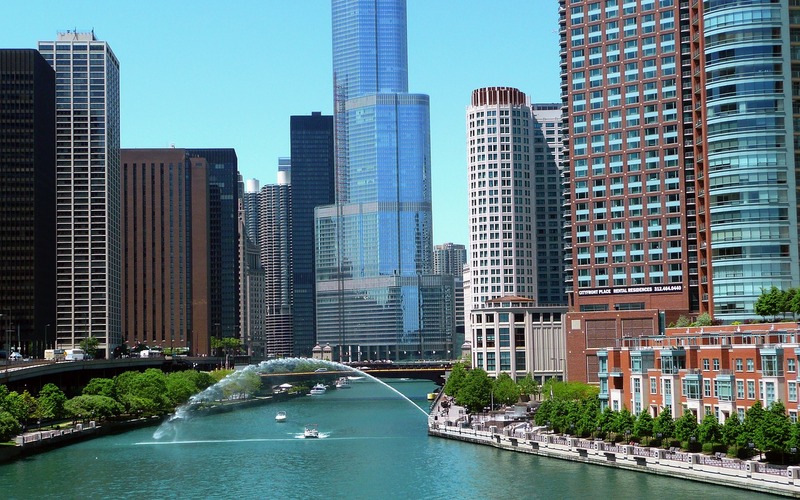 Chicago is considered one of the most important business centers in the world. Chicago was incorporated as a city in 1837, near a portage between the Great Lakes and the Mississippi River watershed, and grew rapidly in the mid-nineteenth century. After the Great Chicago Fire of 1871, which razed several square miles and left more than 100,000 homeless, the city made a concerted effort to rebuild on the damage. The construction boom accelerated population growth throughout the following decades, leading Chicago to become among the five largest cities in the world by 1900. During this period Chicago made noted contributions to urban planning and zoning standards, new construction styles (including the Chicago School of architecture), the development of the City Beautiful Movement, and the eventual creation of the steel-framed skyscraper.